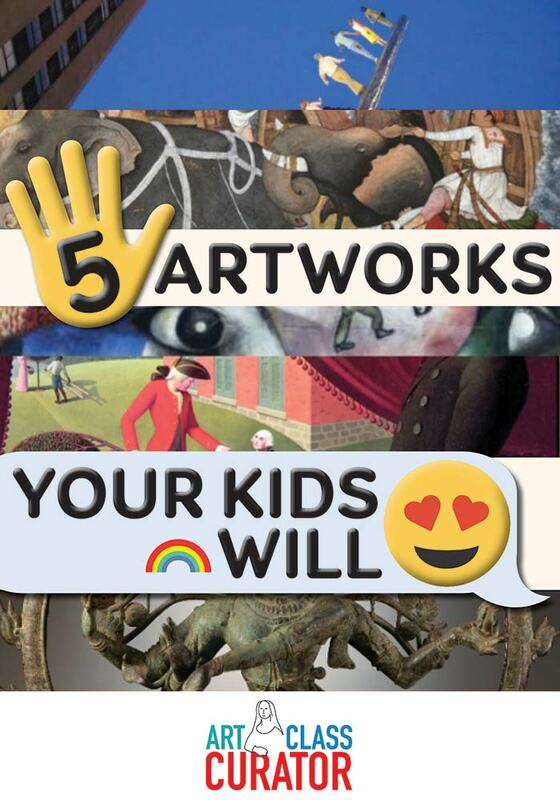 Inside: These five artworks for kids are perfect to share in any classroom or age group. 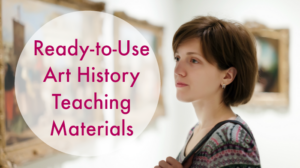 Each one includes discussion questions to get the conversation started! 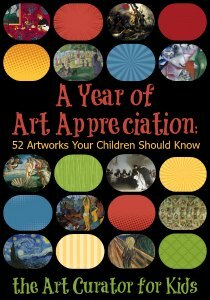 Here are 5 artworks for kids that are, in my experience, fun to discuss with all ages. 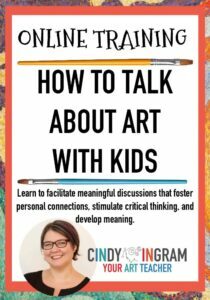 I have given guiding questions below with each work, and you can also see my “How to Talk to your Kids about Art” post as well with tips for starting and maintaining art discussions with your children. 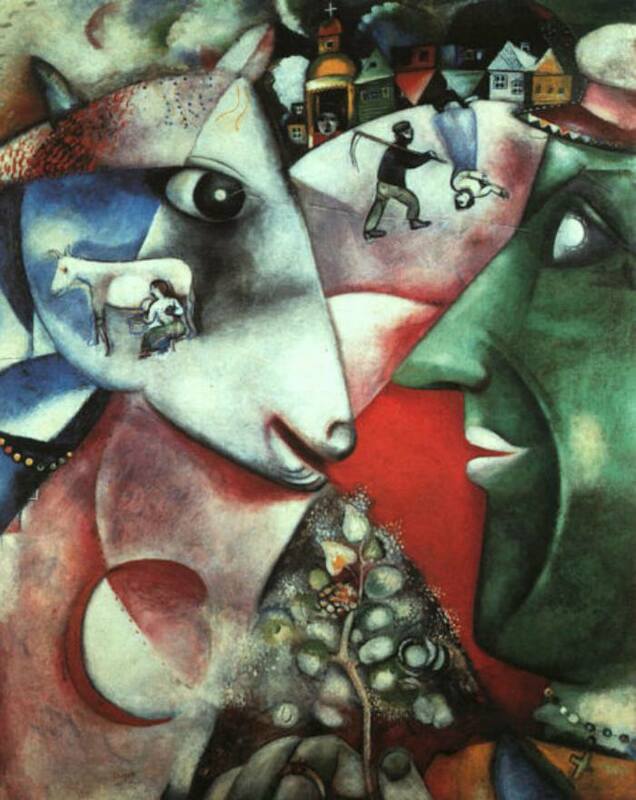 I can’t get enough of this painting and the work of Marc Chagall. His bold colors, sweet love, and whimsical touches always put a smile on my face. Give your kids a chance to explore this painting. Ask them what they think is going on. Let them take the lead in figuring it out. 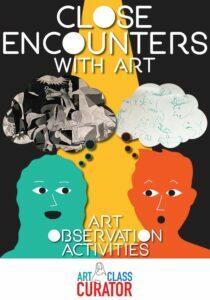 Your role is to facilitate their unraveling of the painting through asking questions and connecting their ideas together. Questions to ask: What is going on in this painting? What do you see that makes you say that? Is this a real or imaginary place? What elements of this painting seem real and what elements seem dreamlike? 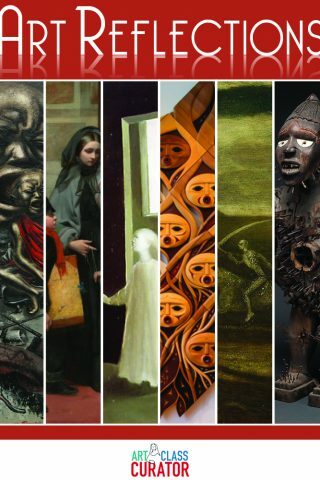 What emotions do you notice in the artwork? 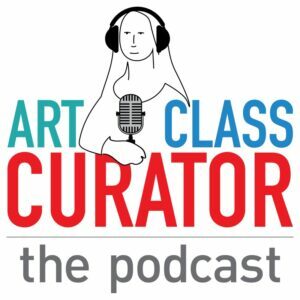 How did the artist use line, shape, and color to contribute to the mood or meaning? 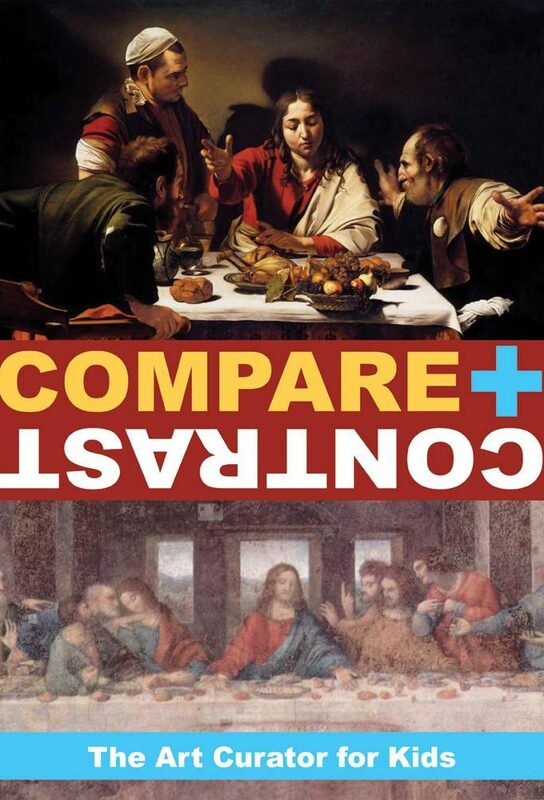 Why do you think this artist created this work? This sculpture depicts the Hindu god Shiva who is the destroyer and recreator of the universe. His dance destroys the universe and prepares for its recreation. This sculpture is rich with symbolism. His hand signals (or mudras) stand for different ideals in the Hindu religion. He dances upon Apasmaru who is a demon and a symbol of ignorance and temptation. 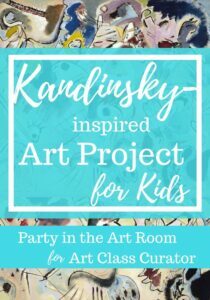 Keep what you know secret about the art until after your kids have had a chance to share their own ideas about what they see. 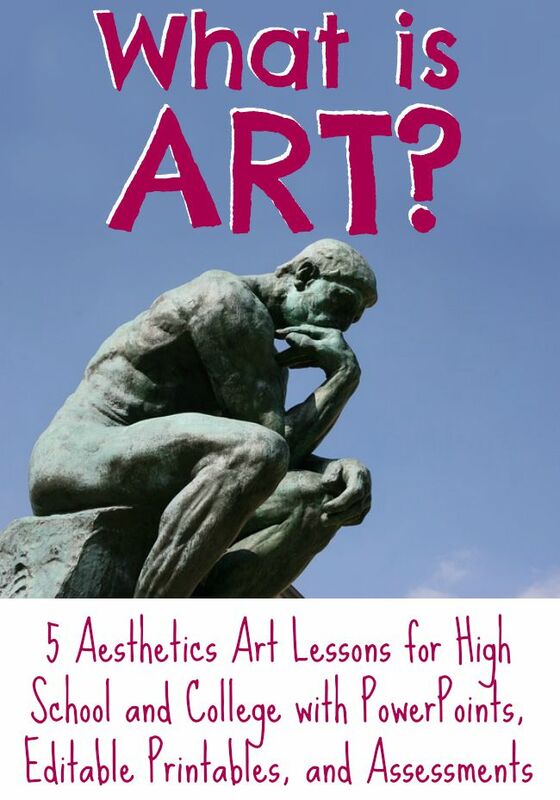 Questions to Ask: Describe the sculpture. What is going on? Who is this? What is he doing? Put your body into this pose and dance with him. How does it feel? What story is being told here? “How can you tell a story through dance or choreography?” (DMAconnect). 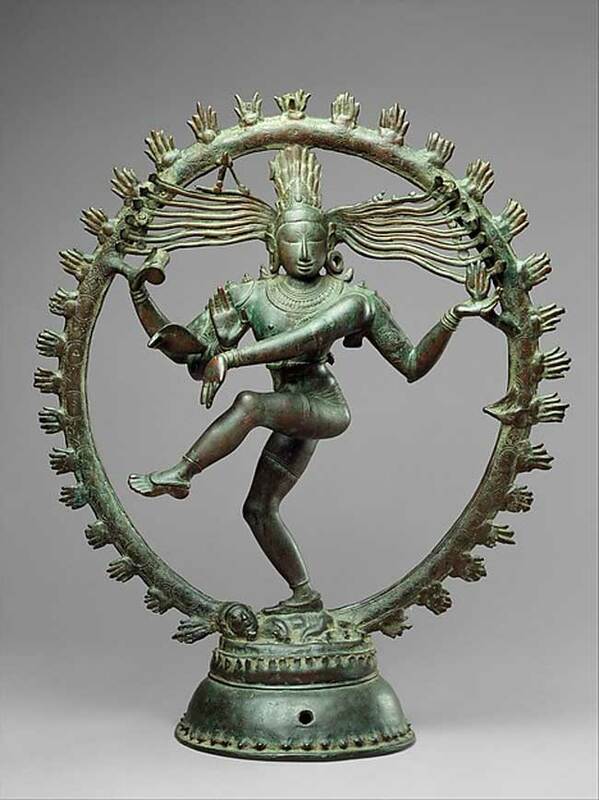 What is Shiva standing on? Why do you think he is standing on it? Describe the lines and shapes that you see. Research the hand symbols (or mudras) on the internet. What do they symbolize? Why did the artist choose to show these symbols? How does this artwork make you feel? 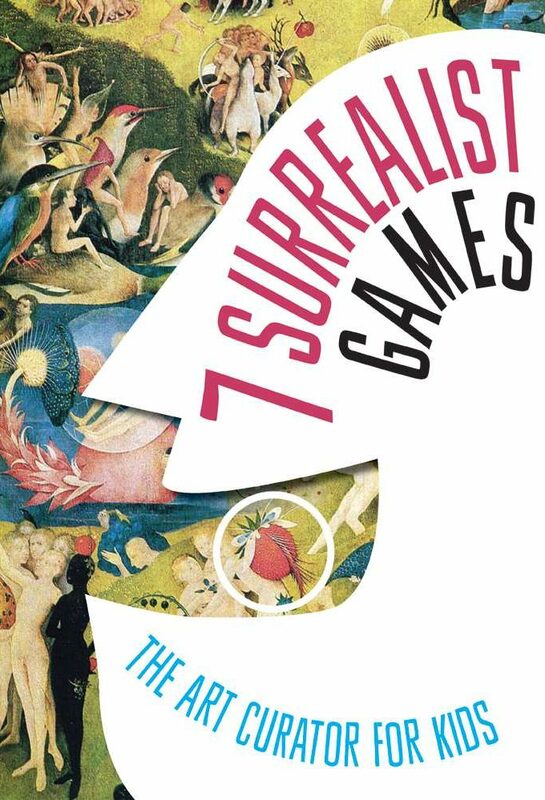 How can you connect this artwork to your own life? Although I am in love with this artwork, I was hesitant to add it to today’s list, because the internet can’t fully capture how amazing this is in person. 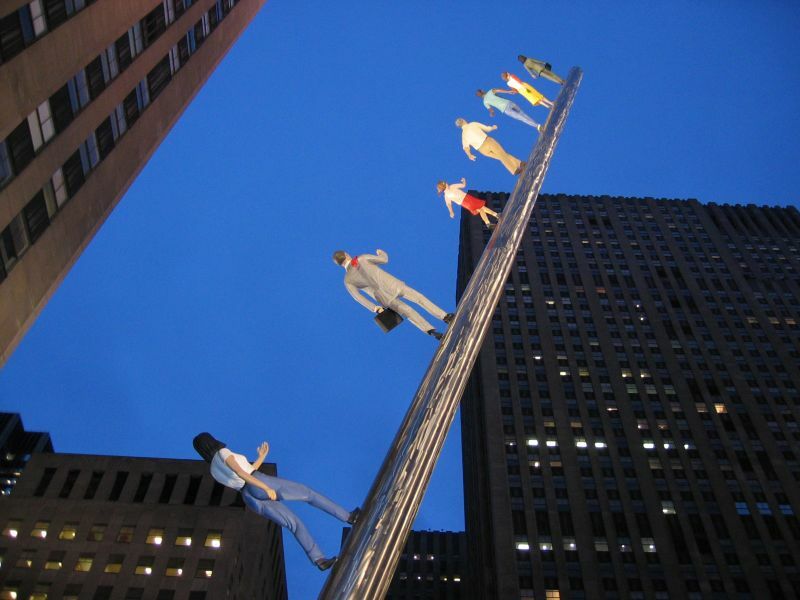 This sculpture has 10 realistic and life-size people (from a business man to a young girl) walking on the stainless steel pole that goes 100 feet into the sky. The artist says it was inspired by a story from his dad about a friendly giant in the sky who would help you with your goals for the future. Questions to ask: What is going on here? What are they doing? Where do you think they are going? What do you think they will find at their destination? 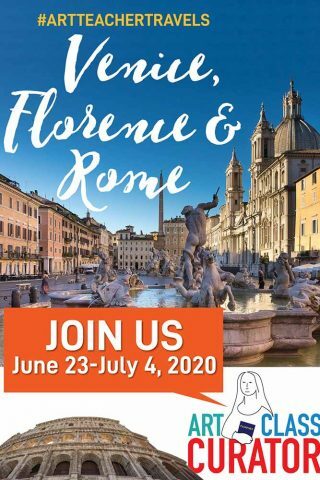 How do they feel about this journey? How can you connect this to your life? (Tell story of the giant.) What would you want to ask the friendly giant in the sky? Years ago, I was employed as a Gallery Teacher at the Amon Carter Museum, where this painting is located. I loved discussing this with my students. 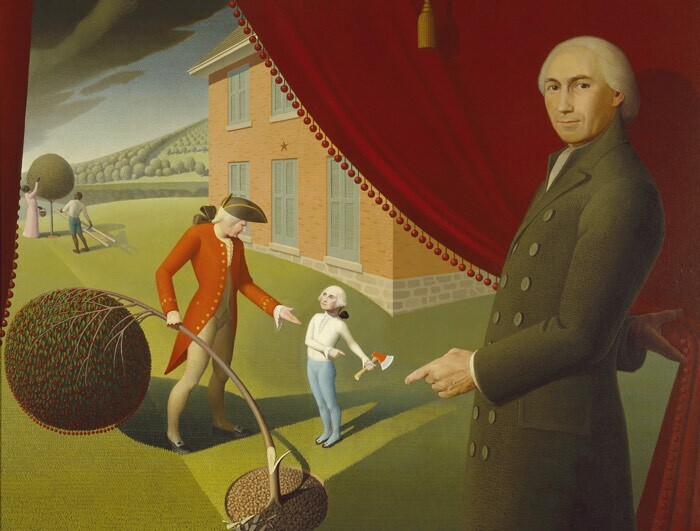 This painting tells the famous story of George Washington chopping down the cherry tree. Shocking to most, it turns out that the story is not true and was made up by Parson Weems, who appears in this painting as the narrator of the production. Students love the old man’s head on the kid’s body! (Check out that head… it’s the same painting as the dollar bill copied from the famous Gilbert Stuart painting pictured right). The repetition of shapes and the directional lines pointing to the action of the story give you a chance to easily visually analyze the composition of the work. Questions to Ask: What’s going on in this painting? How can you tell? Who are these people? Who is the guy in front? What is his role in the painting? What is strange about this painting? Which area of the painting is emphasized by the artist? What shape is repeated throughout the painting? Why do you think the artist repeated that shape? 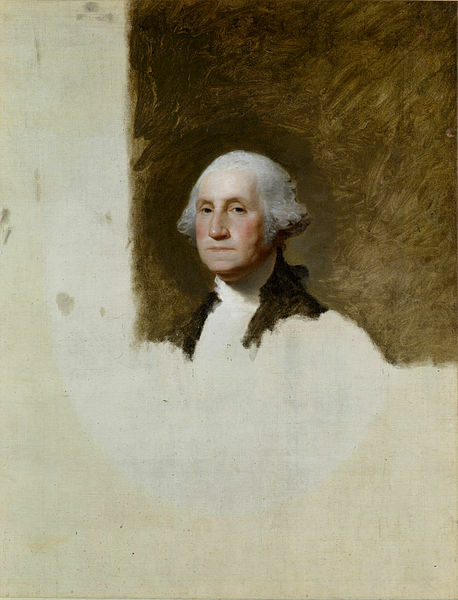 How does the artist use line and color to draw attention to George Washington? 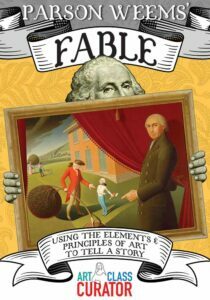 Want to learn more about Parson Weems’ Fable? Check out this blog post all about the painting. In my opinion, Indian narrative miniature painting is some of the coolest art out there. Indian artists had a masterful way of putting the horizon line way up at the top of the picture so you could see lots of space and elements to the story at once. 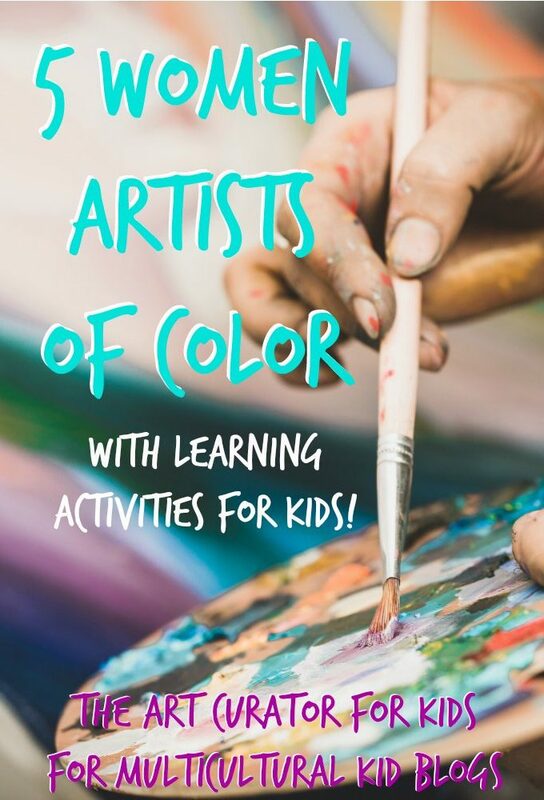 Mix that with bold colors, energetic diagonals, and intricate patterns, and you’ve got a perfect artwork to show the littles. 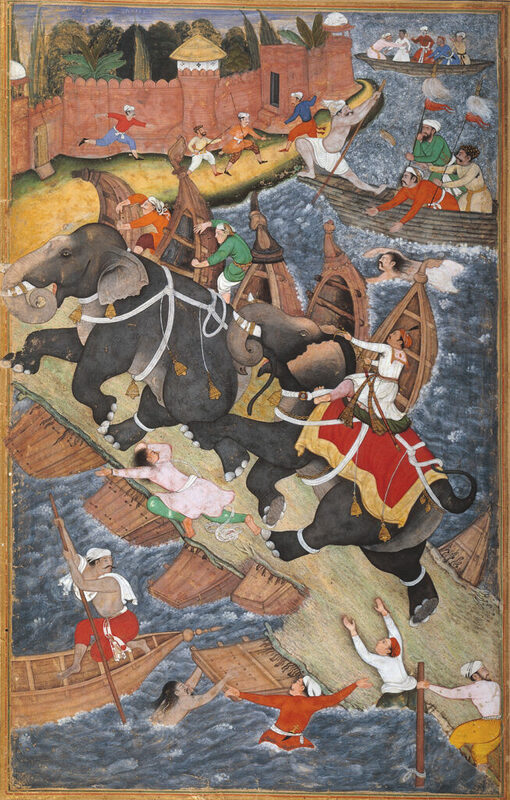 In this story, the ruler Akbar took control of one wild elephant (Hawai) and attacked another wild elephant. During the battle, he chased the elephant to a pontoon bridge and collapsed it. In the end, Hawai was tamed and the other animal was defeated. Akbar celebrated this story “as an allegory of his ability to govern — this is, to take charge of an unruly state” (Kleiner and Mamiya 752). Questions to ask: What is happening in this artwork? How can you tell? Which character is this story about? How can you tell? Describe the behavior of the elephant and other people in the painting? What do you think happened before this scene? What do you think happened next? Describe the lines, colors, and patterns in this artwork. This post was originally posted on April 1, 2014. 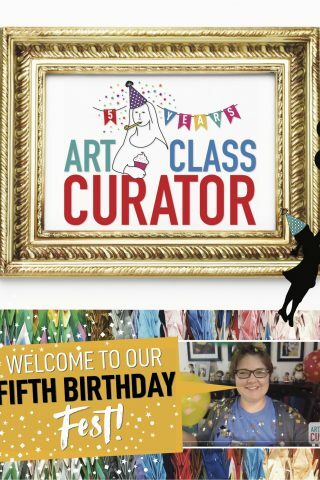 I discovered your blog through the FB page of Art Ed, which took me to the voting page on the Art of Ed Blog of the year. 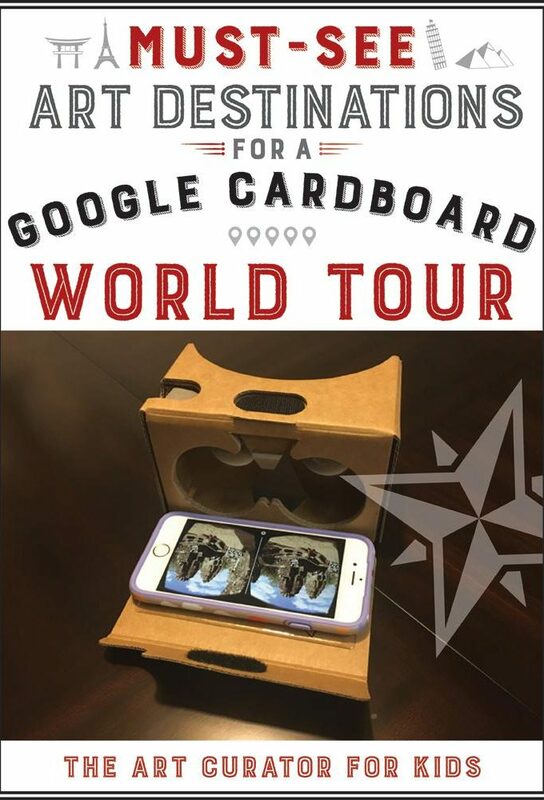 Thank you for sharing your expertise! 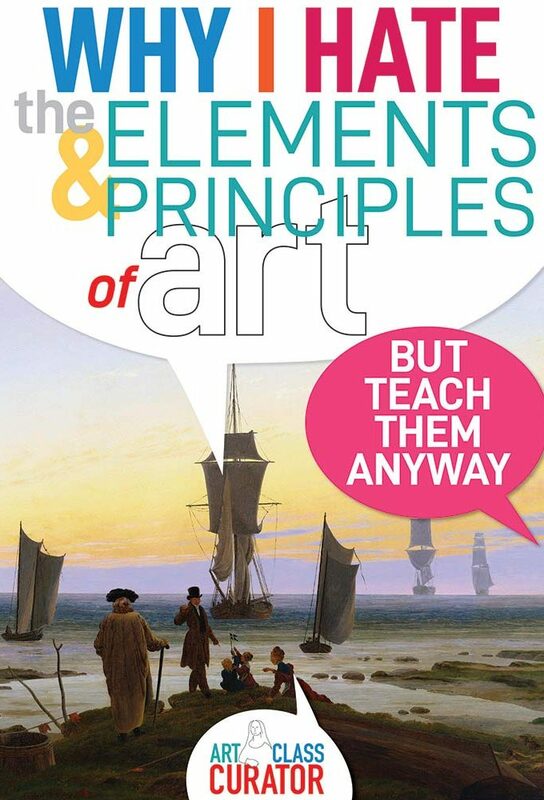 It is widening my horizons and will broaden my student’s as well. Bravo! This is my first time visiting your website and blog. Its beautiful and so well organized! I landed on this post, and really enjoyed it. Great content. I have subscribed and look forward to getting the newsletter.